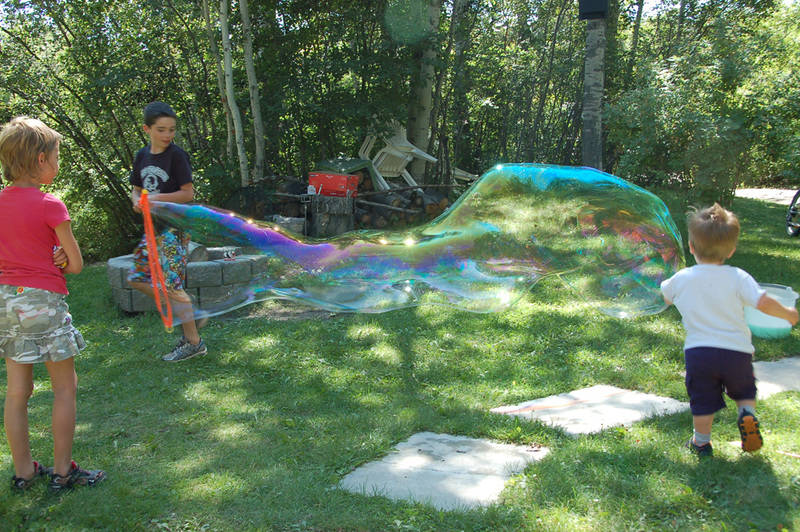 It never ceases to amaze me how bubbles, particularly gigantic ones can transport a person of any age right back to being a 2-year-old. This fact is for certain because the joy of the 2-year-old in our group was contagious to all. I remember that feeling ever so slightly. That rush of adrenaline, an adult size bubble must look almost frightening to a toddler. And then the euphoric feeling as the bubble gets bigger and bigger and still has not popped. And then finally the surprise ending when it finally does disappear with a light spray of soapy solution. It is one of the fun parts of being a parent when you take advantage of the opportunity to re-live your good childhood memories.